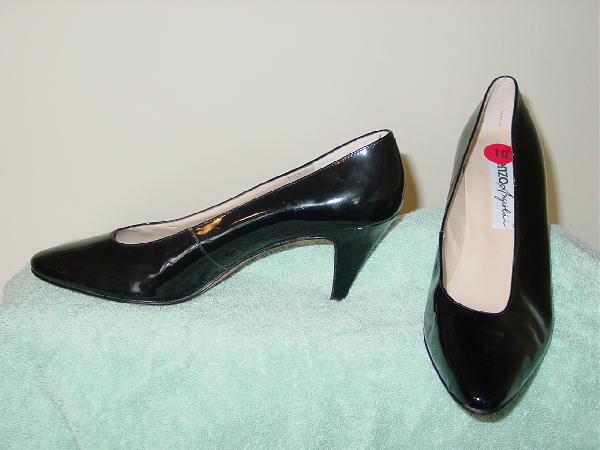 These black patina pumps have leather soles and are by Enzo Angiolini. They have leather uppers and were made in Brazil. There are modified pointed toes. The shoes have some scuff marks.